27 July 2017 Unlocked content from the archive. 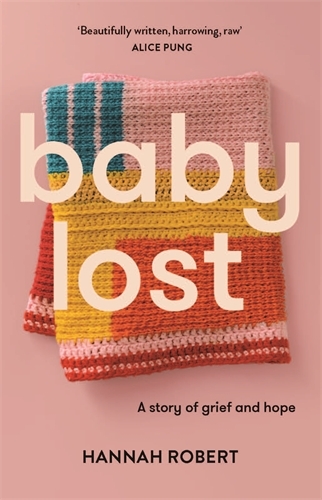 Baby Lost is a heartbreaking study of the aftermath of an accident that changed the author’s life. Hannah Robert—a law lecturer at Melbourne’s La Trobe University—is not a saccharine writer, but her words do pack an emotional punch. With a rational approach, Robert describes the death of her unborn daughter in a car accident while Robert was eight-months pregnant. She leads the reader through the day-to-day emotional turbulence that ensues, as well as the debris of medical and legal intervention that she and her family receive. Robert also explores her pain in relation to the law, feminism and society’s views on motherhood. This powerful memoir will be indispensable reading for anyone who has had a stillborn child or a miscarriage, or who understands the precarious nature of childbirth. Baby Lost depicts a private grief, but it also records courage. This is an excellent narrative that readers of Georgia Blain or Monica Dux will appreciate, and will remind readers that we cannot take love for granted.